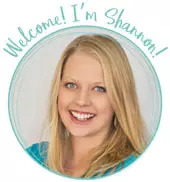 by Shannon Clark in Giving Birth Naturally | 28 comments | Contains affiliate links. T hese are a few of the many things I loved about having a home birth. Don’t worry about when to go to the hospital or birth center. No need to pack a bag. Don’t have to ride in a car while experiencing contractions. Midwife watches over only your labor and birth. You don’t share a care provider with several other women at the same time. You’re not monitored remotely. Unwanted medical interventions are simply not available. Risk of surgical birth is much lower. Wear your own clothes. Or wear nothing at all. It’s your house. Open the widows and breathe fresh air. Relax in a private, familiar environment. Relaxation can speed labor. Labor in any position you find comfortable. Move from the bed to birth tub to the closet and then take a walk around the block if you want. Eat and drink as much and whatever you want during labor. Rest in a dim, quiet atmosphere with only people you choose present. Have a water birth, along with its many benefits, not just a water labor. Mom and Baby are not exposed to serious infections and germs. Since we only use homemade green cleaning products, baby was not exposed to harsh cleaning chemicals. 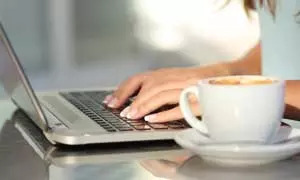 No unwanted formula samples and advertisements. No one will separate mom and baby. No one will mind if you co-sleep with your baby, and there’s room in bed for Dad too. Eat your own familiar and healthy food. No need to worry about food sensitivities or special diets. No one wakes you up to check vitals. Midwife comes to your house for mother and baby checkup. You don’t have to get dressed or manage to get a two day old out of the house while healing from birth. Affordable care & still covered by insurance. What was your favorite part of your birth location? It really does give you a certain confidence to be under the wise watch of a midwife. I would highly recommend considering a home birth for any low-risk woman. It was the most wonderful experience ever for me! What a great list! I had a home birth too with my daughter, and here’s some of the things I listed:http://ashleysgreenlife.blogspot.com/2011/02/33-weeks-and-top-5-reasons-im-having.html One of my favorite things about the homebirth is just that I was in my own house for it all…the prenatal visits, the birth, the check-up afterwards. I get stressed out about going to doctor’s offices or hospitals, so I really loved this part. I also like how you mentioned you could have your own food (I’m gluten-free and vegan) and no toxic cleaning chemicals. Even better you don’t have to have anyone hounding you about unwanted medical interventions. Like the Hep B shot and erythromycin eye ointment…we declined both of those ahead of time. Thanks for posting this and for getting the word out there about how awesome homebirths are…I couldn’t agree with you more! Thanks or sharing your post Ashley and congratulations on your home birth! It sounds like you are just as passionate about home birth as I am. :) We declined the Hep B and eye ointment too, also the vitamin K shot, and baby was just fine. I am so happy we were able to avoid all of the routine medical interventions for me and Baby. I got to keep cooking and rearranging between contractions and was able to move around to make said contractions easier. Dad didn’t have to get ready to catch though–I took care of that myself. Wow! It’s amazing how many of these stories I’ve read lately. It’s too bad women are usually only told the scary birth stories rather than the happy easy ones. I would love to catch mine next time if I ever have the presence of mind to do it. I caught my own babies too! Though I am a midwife myself and my mentor was with me at my first home birth, since my first pregnancy was traumatised by having major surgery to have a lung removed at 4 months along. I refused going to a hospital for the birth, saying that the surgery was on my chest, not my crotch. My concession was to acquire an oxygen tank to have on hand. So, at 10 months i gave birth to a fine 6.5 pound girl after 7 hours labor. Their fear was she would be deformed from all the sickness and meds and anesthesia. My thoughts were that she was fine. And she was. What a great list! Lord willing, if we have anymore kids, we are going to have a homebirth, after 2 pregnancy losses this year, we are praying for a miracle! I’m saying a prayer for you right now! My first was born at the hospital with unnecessary interventions. My second was a beautiful home birth. There really is no comparison. One of my big pros was recovering at home without nurses taking my baby away from me for this and that. Babies belong in their mothers arms. We also had a home birth for both of our children. It really was amazing! The midwife was awesome and the best part was they were prepared to go to the hospital with me and advocate if that was what I needed, luckily I was ok both times to stay home. I planned to have soft music but ended up with cartoons on the T.V in the background..lol. either way, it was the most amazing experience of my life!! You mentioned that it’s covered by insurance. I live in NJ, and here we’re having trouble getting it paid for at all. Any suggestions? Unfortunately a lot of insurance don’t cover midwives/birth centers/home births. I’m not sure why exactly. My oldest is 5, she was supposed to be a birth center but we ended up in the hospital last minute. My last two were homebirths. The only thing insurance touched was when we arrived at the hospital. The only positive side was it went towards our ‘out of network’ deductible. I had 8 home??? ?births all beautiful, the last 2 in water. Twins in the hospital also natural with minimal intervention. But I had to be so strong and vocal to get my way. The home births were so wonderful, because everyone wanted what I wanted. I loved that my 5 year old daughter was there to hold my hand as I was going through transition. My first experience was at the hospital. If I had my time back I would have never gone through it. It made the first of my first daughter ‘forgettable’ in the sense that there was so much confusion and interruption, chaos from a number of staff and resident staff in my room, I don’t even remember them telling me whether I had birthed a girl or a boy! I swore my second birth & pregnancy I would take my power back.. and I did! With the help of an amazing midwifery team, I had the most wonderful water birth at home! My 5 year old daughter was there and with an equally awesome birthing photographer she captured my daughter nurturing ME through some of my contractions! My husband was so much more inclined and comfortable, he didn’t feel like he was just a ‘fixture’ with no purpose, no say. My labour was ‘quick’ and manageable, my midwives were just such a treat. There were laughs from me between hard contractions… and that’s just something you can’t beat! By far the most gratifying and elating experience. Never again unless absolutely necessary would I birth in a hospital setting.. and if I had to I best be allowed to have midwives deliver me! The last one I only agree with half. Its definitely cheaper than a hospital birth (our first was unplanned hospital, our last two were home births). But our insurance wouldn’t touch it. Not even the birth center we had planned with our first. Some insurances too, but a lot don’t. I have never experienced a hospital birth, but I remember being amazed when, directly after labour, my midwives said: “here’s your baby! You can hold her and nurse her and let us know when you’re ready for her to be examined, and we’ll do everything with her in your arms.” In my experience with hospitals for other forms of care, I always felt (and feel) like I’m just nodding as they tell me what they are about to do (or they don’t tell me and just do things) to me or my daughter. Makes me wish there were pediatric midwives :). You should still always pack a bag!! I had a home birth and was transferred to the hospital about 2 hours after the birth. Still glad I did it but also VERY glad I packed a bag. What insurance do you have that covers home birth? Yes, my insurance covered home births. It’s all about whether your midwife is covered by your insurance. And I believe there were only a couple midwives on my plan each time that were covered and who did home births. The second time around I had Premera Blue Cross and the first time I had United Healthcare. I’ve had 2 hospital births and 1 homebirth. My hospital was great during birth, the nurses were great, the followed my birth plan but aftercare was miserable. Lab techs came in at 2am, nurse we mean, check out took hours after they told me to put baby into carseat and hospital pediatrician was HORRIBLE. Homebirth was awesome. We saw only care providers who we knew and liked, no car rides while in translation phase and labor was much shorter. The only negative was all of the laundry afterwards but that felt like a small price to pay for all of the benefits. This is a good read but stirs emotions for the women who this is not an option for. As a woman who gave birth to triplets at 28 weeks it was very upsetting to not get the water birth I wanted. It was even worse that I got a serious infection from cesarean and the midwifes response when I told her something wad wrong was ‘you just had triplets what do you expect!’. I feel like I missed out but I have 3 healthy gorgeous identical girls byt while it’s nice to advocate a certain birth don’t forget the ladies who don’t get a choice. I had 3 HBAC, after 1 C/s. I LOVED birthing at home! I didn’t waste energy or attention on the minutiae of hospital stuff……y’know, apologizing for putting your stuff in the wrong place, asking if this is okay or that’s “allowed”, having lights too bright, rooms too cold, windows that don’t open, and cheap, scratchy blankets and washcloths. Instead, at home, I had comfort without having to ask for it or apologize for inconveniencing anyone. Walking around the block, barefoot in the backyard, or naked in the house were all fine. Another benefit, for those who want it, is as much photography as you want. (not allowed in most hospitals). And, hugely important, no interference or routines that separate baby at all from mom — so breastfeeding is so much better from the beginning! Babies often don’t lose ANY weight! Moms often don’t get engorged! SO wonderful! 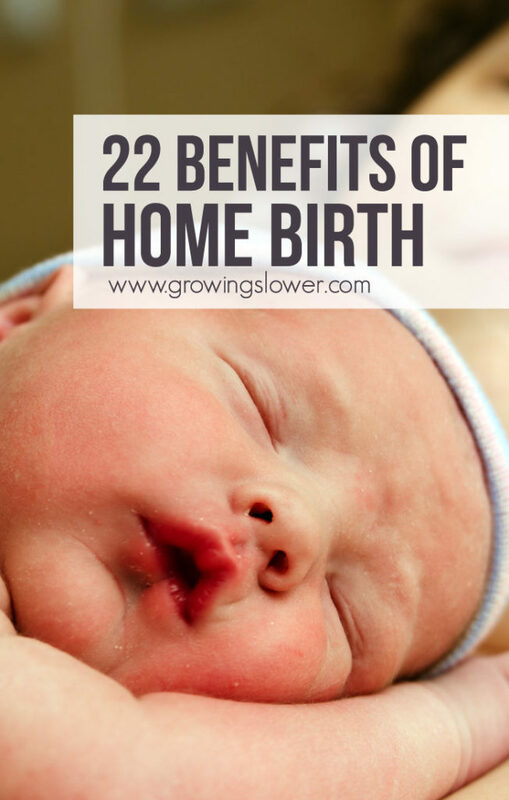 I agree with all the reasons to home birth! My situation was ironic because my insurance didnt cover hospital birthing, so I didnt have much of a choice. However in hindsight I am so so so very blessed to have been in that situation and be spared a hospital birth!